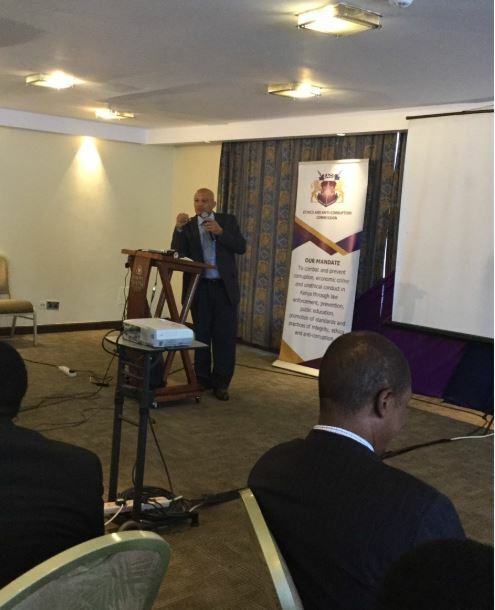 EACC boss Twalib Mbarak has recalled how he was subjected to an HIV test after taking a loan of Sh700,000 in 1987. Mbarak, who was speaking when the Ethics and Anti-Corruption Commission partnered with Saccos on Wednesday, said he took the test with his wife. 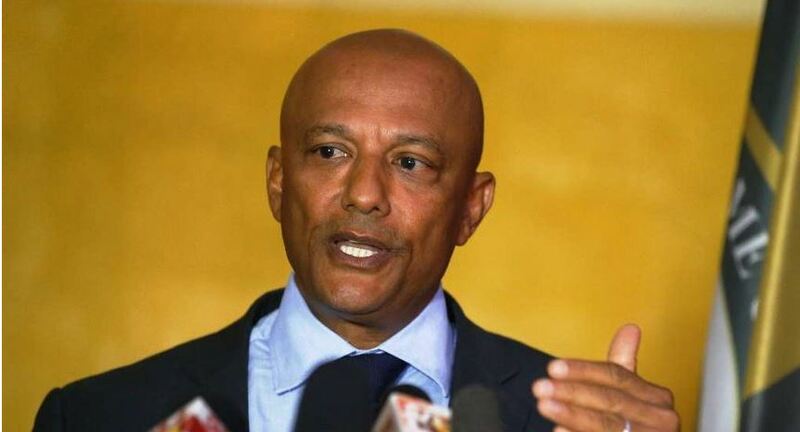 “I took a loan of Sh700,000 and I had to be subjected to an HIV test with my wife and I can tell you I was HIV positive for one day…and it was bad,” Mbarak joked. “After the test, we went to fill the insurance form. That is why when I see people who are positive I support them and sympathise with them,” he said. Mbarak added that after four days, his wife was called by the bank and told that the doctor wanted to see both of them. “From the call, we were told it was urgent…we started asking ourselves why we were being called. When we reached home my wife was looking at me and I was looking at her,” he said. “We never ate, it was bad. We went in the morning and we waited for the doctor..we were already panicking… when we saw the doctor I thought that my blood was found to be ‘dirty’, “the anti-graft CEO said, noting that there were no ARVs at the time. “We entered the office, then we were told that the insurance form that we had filled was not the right one and that we had to go back and fill another one,” he said, leaving the audience in stitches. Mbarak used the story to illustrate how even small loans needed a person to undergo a lot of processes to be guaranteed. He also spoke out against Saccos embracing nepotism, something he said is illegal. “I know what is happening in saccos… half of the staff are relatives ….if we decide to come to you we can prefer charges on you…do not practice nepotism in saccos,” he said. “If saccos are mismanaged, the ripple effect is bad and we look forward to working with you people in the saccos,” he said. The Commission and the State Department of Cooperatives reviewed a draft MOU on collaboration and partnership to combat and prevent corruption economic crime and unethical conduct in the Cooperatives Sector. “My hope is that by signing the MOU in the future we shall have strong cooperative movement that will benefit all members in Kenya,” said EACC Chairman Rtd. Archbishop Eliud Wabukala.